I don’t purport to be an expert at giving speeches (far from it) but as a professional wedding-junkie, I thought I might be able to pass along a little sage advice on the subject. You see, I’m not the world’s most confident speaker (understatement of the year) and at my own wedding I was faced with either giving an amazing speech to show my wife how much I love her, or spending a very sad honeymoon night alone. My nerves were shredded. I couldn’t eat a bite beforehand; despite the amazing feast served up (I still mourn the loss of that roast beef to this day). Eventually, I even abandoned the reception room to sit outside and do a frantic re-write. When the fateful moment arrived, I stood up, took a deep breath and… actually it wasn’t too bad. Now years later, I consider all the things I could have done differently. Ah … the perks of hindsight. So, this is what I’m doing – imparting my words of wisdom as a professional attendee of weddings. I hope the tips in this blog may help others avoid my pain and in a little way I can live vicariously through each and every one of you (cue maniacal laughter). 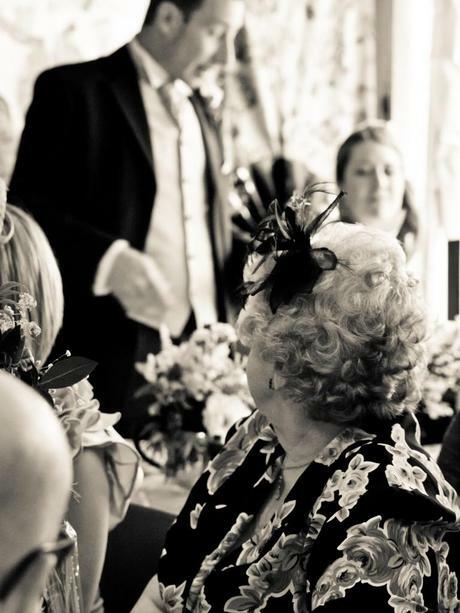 SO WHAT IS A GROOM’S SPEECH AND HOW DO YOU ROCK IT?…. Read more after the jump to our York Wedding Photography Blog and find out more about how to rock the socks off your groom speech.